For the Adventure of a lifetime!! 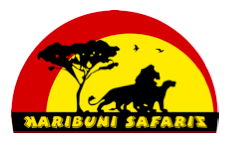 Karibuni Safaris Ltd incorporated in 2008, is a premier inbound tour operator specialized in adventure travel. The company was initiated by adventure enthusiasts who wanted to share their passion with like minded people. We offer the ultimate adventure in Uganda that combine wild life, paddling on the River Nile and hiking, abseiling or rock climbing on Mt Elgon. Our trips are carefully designed to offer safe transport, comfortable lodging and culinary delights with expert guides for each of the activities. We handle all the trip details from the time you arrive until you depart and everything else in-between. Our excursions take you from the arid semi desert, through the savannah, lash tropical forests, impenetrable rain forests, montane bamboo forests and moorland on the mountain peaks. Our terrific packages cater for individuals, families and small groups 3-12 people. Our flexible itineraries are customized to meet your time, pace and budget. We offer wellness retreats so you can relax and recuperate on the sunny beaches of Sese Islands or chill out at Sipi Falls, Lake Bunyonyi or Kilembe Mines. We provide affordable, comfortable and personalized service to small groups. We are positioned as a premier tour operator promoting self propelled adventures in Uganda. Our Mission is to market adventures on the Mt Elgon theme and make the local communities benefit from the National Park through tourism revenue and hence conserving it for posterity. Karibuni activities are hosted on the River Nile, Mt Elgon and National Parks of Uganda. The itineraries depend on the combination of activities preferred on the trip. We balance popular wildlife safaris with alternative pursuits like adventure and cultural experiences. Hiking-Mt Elgon is a hiker’s paradise with 3 day time trails around Kapkwai Forest Exploration Center. A five day hike up to the summit Wagagai, you can hike Sasa trail in Budadiri and ascend steeply or choose to rise gradually from Sipi, Piswa or Suam trails; the hike is not technical. Experienced climbers can tryout a 7-8 day trek to the summit of Mt Rwenzori gives the most technically challenging mountain in Africa. White Water Rafting- we provided this trip through our partners Adrift Africa who will treat you the ultimate adrenaline rush. There are excursions for beginners and family trips for the risk averse. Kayaking, other paddling activities, boat cruises and sports fishing options are available. Mountain Biking- The activity is undertaken in Mbale, Jinja and Fort Portal, the trips are designed to bring you in contact with the communities and get a peek view of the cultures. Abseiling- This activity is currently available next to Sipi Falls on Mt Elgon, there 4 levels from 20 meters to 100 meters adjacent to the falls. There is training for beginners and challenging descents for the experienced. Mt Elgon has several unexplored sites for the adventurous trail blazers. Fly Fishing- Rainbow Trout was introduced recently on River Sipi, fly fishing is available on a catch and release, fly fishing gear for hire is available. Training for beginners can be arranged. Rock climbing- Mt Elgon has several ridges and cliffs good for rock climbing most of which are yet to be tackled, activity is currently restricted around Sipi Area. The more adventurous are welcome to explore and open up new tracks. Bird watching-Uganda is at a junction of migratory routes and 1046 different species of birds have been recorded. In Queen Elizabeth National Park has over 600 species, in a concentrated area. Uganda is one of the few places you can find the endangered shoe bill. Pokot/Gisu/Ganda Culture- Our cultural experiences introduces you to several cultures. The Pokot are nomadic pastoralists, The Gisu famed for the circumcision ceremony that initiates one into manhood and The Ganda stepped in tradition with a Kingdom over 5 centuries old. Other Services- reservations, mobile tents, camping accessories, wildlife safaris, mountaineering, film co-ordination, bungee jumping, horseback tours, and research tours. We offer unique camping safaris and operate a fleet of 4WD all terrain vehicles. We promote environmental protection, embrace pro-poor tourism and operate fair traded safaris going an extra mile to support to local communities in areas we visit. We believe that local people are key stakeholders in our endeavors; and they too should benefit from tourism. We take you “off the beaten track” to secluded places giving you an exclusive view of the wild beauty and immersing you in authentic cultural practices. Our unique safari packages are designed to have a low impact on the environment while our experienced team pampers you with unrivaled service. Karibuni Safaris is actively seeking outbound tour operators, travel agents and partners interested in working with us put Mt Elgon on the tourist’s radar. Mt Elgon unspoilt by mass tourism; an adventurous paradise waiting to be discovered, however, the environment is in danger as the local communities encroach on the National Parks resources caused by lack of an alternative source of income. We look forward to working with other ATTA members, promote responsible tourism and share best practices in adventure travel. We need partners to supply us visitors to Mt Elgon, in order to change the community’s attitude towards conservation through earning from tourism. Am an old friend to mr kitongo david,when he was my boss at unilever uganda now i need to get in touch with him,i hold a BBA(Mkting).i can be accessed on 0711 280 641 & resident in Entebbe,kind r’gds.